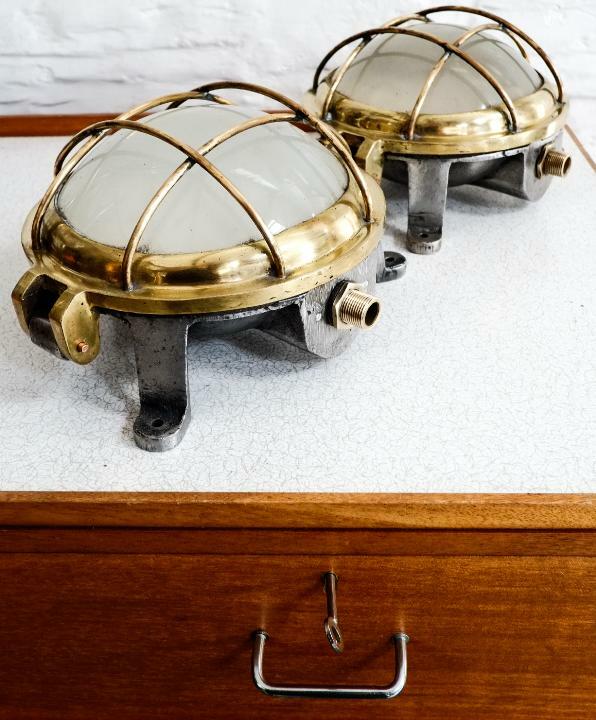 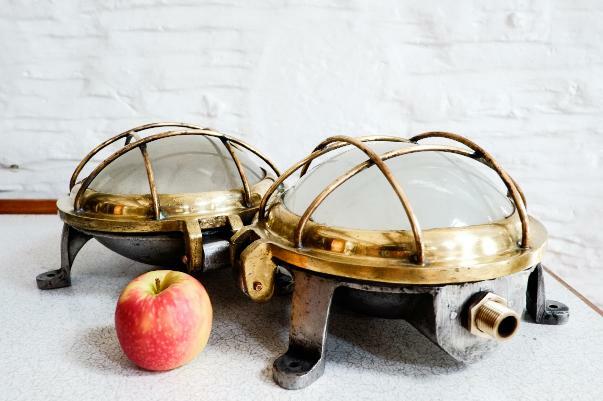 A substantial pair of marine bulkheads, cast iron backs with hinged solid brass enclosures. 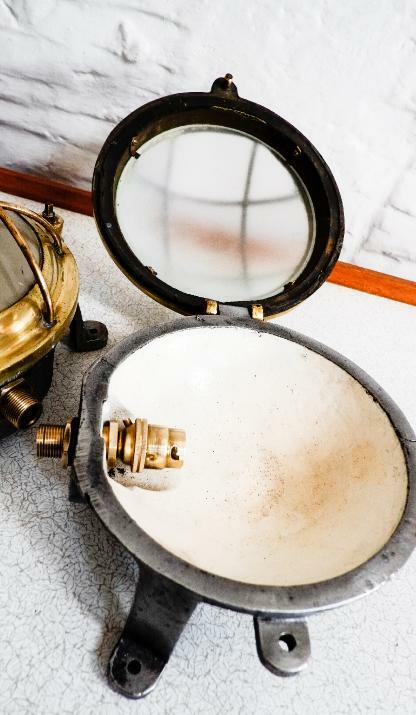 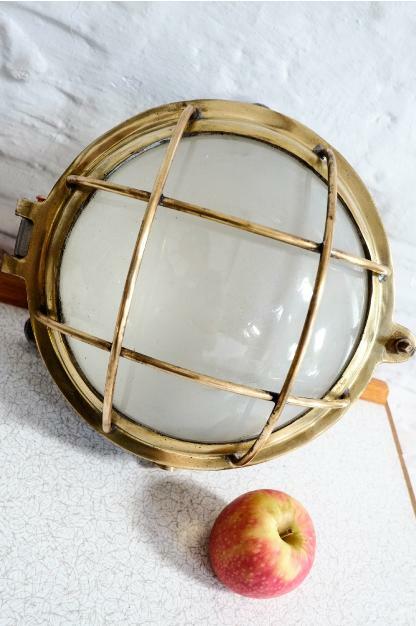 Brass guards are fitted over the opaque opal lenses, protecting them from damage and concealing the bayonet bulb holder within. 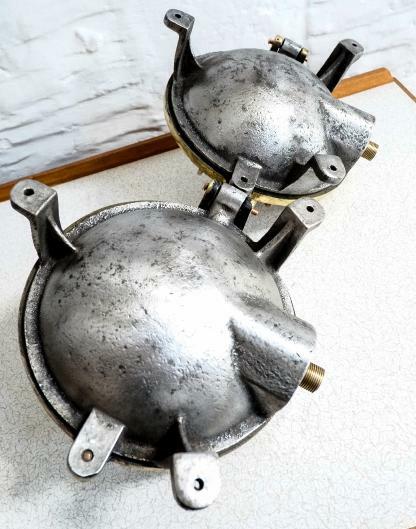 If you wish to use them indoors with a cable & plug they can be re-wired & P.A.T tested.